Shiona Turini has the résumé that anyone with a dream of working in fashion envies. In episode 50 of Second Life, she shares what she learned cutting her teeth at the industry's major print magazines before fearlessly moving into freelance styling and finally transitioning into costume design for HBO's acclaimed tv series Insecure. Everyone has interests outside of work, but not everyone knows how to turn their side hustle into a successful business. But it's safe to say that Sierra Tishgart, co-founder of cookware brand Great Jones, knows a thing or two about the transition. In the newest episode of Second Life, Tishgart tells Hillary Kerr how she went from being a Teen Vogue intern to becoming an entrepreneur in home cookware. Like many of us, Hannah Bronfman's most valuable college experience came from outside the classroom. Bronfman successfully pivoted from being a sculpture major to becoming fashion's favorite DJ and wellness master. In episode 47 of Second Life, Bronfman tells Hillary Kerr how she's learned to cope with the failure of a business venture, understand her worth, and inspire fans to lead a healthier, happier life. Aimee Song's rise to fashion blogger stardom is a lesson in what you can accomplish by following your passions. The fashion guru behind Song of Style got her start working as a receptionist at a construction company right out of high school while saving up money to pay her own college tuition. It was there that she got her first taste for architecture and design and decided to go to school at the Academy of Art in San Francisco. However, one job interview changed everything. "I got the job because of my outfit," she tells Hillary Kerr on episode 46 of Second Life. Jamie Kantrowitz co-founded Countertop with Nicole Rice based on the goal of helping people focus on wellness through simple and delicious home cooking. Today, the duo sells a variety of products from seasonings to honey, all meant to enhance both the flavor and nutritiousness of your food. But before all this, Kantrowitz was following a very different career path. She spent her twenties working in politics and digital media at companies like Rock the Vote and Myspace. "Even though I've jumped industries, there are common threads that go through it," the entrepreneur tells Hillary Kerr on episode 45 of Second Life. Everybody knows that before Jennifer Lopez was the multihyphenate superstar she is today, she was Jenny from the block. But most people don’t know how she made the leap from a dancer to an actor to a singer to an icon. “I always knew from a very young age that I loved performing,” Lopez tells Hillary Kerr on episode 44 of Second Life. With the help of Elaine Goldsmith-Thomas (then her agent, now a producer), who’s had a few career swaps of her own, J.Lo catapulted herself to international success. Lopez’s philosophy for mastering the pivot? “If you feel like you need to move, move.” Find out how both women paved their own paths. Kerry O'Brien never could have anticipated that her career in public relations would lead her to become an underwear designer, but that's exactly what happened. The entrepreneur started out in corporate PR, quickly making her way up the ranks (she was a vice president at just 25 years old). However, when September 11 happened, she felt like she needed a change. She quit her job without a plan, but it wasn't long before she found her next passion: women's underwear. Carla Hall was always a creative, but before competing on Top Chef, authoring cookbooks, and starring on The Chew, she was auditing at a big accounting firm and pursuing modeling in Europe. When she returned home from Europe—where she'd also taken up cooking—she stumbled into her own lunch delivery service that parlayed itself into catering, culinary school, and her rise to foodie fame. "It was really an adventure," she tells Hillary Kerr on episode 42 of Second Life. Meredith Melling is proof that landing your dream job isn't the end of your career path. In fact, it might even just be the beginning. Melling always wanted to work in fashion, and with a bit of luck, good timing, and the smart decision to dress for the job she wanted, not the job she had, she landed the coveted title of a fashion assistant at Vogue early in her career. But that was only the start of her journey toward creating her own consulting business and co-founding fashion brand La Ligne. Eva Chen's résumé reads like the front row of a well-stocked magazine stand. She's held jobs at publications like Harper's Bazaar, Elle, Teen Vogue, and Lucky (where she was editor in chief, no less). Although landing a job as editor in chief of a major publication sounds like the peak of one's career, Chen was just getting started. Now, she's catapulted to director of fashion partnerships for Instagram, has written her first book (a children's story called Juno Valentine and the Magical Shoes), and is trying her hand at design with the launch of a capsule collection with Janie and Jack in conjunction with her book. Kerry Diamond has been starting businesses since she was in the third grade launching a school newspaper. "I am very fortunate in that I knew from a very early age what I wanted to do," she tells Hillary Kerr in episode 36 of Second Life. Although she started out in hard journalism, the entrepreneur pivoted to the beauty space and catapulted from beauty director at Harper's Bazaar to head of PR at Lancôme. All before striking out on her own to co-found Cherry Bombe, a biannual indie magazine that celebrates women in the food world. Busy Philipps always knew she would be an actress. In fact, she was studying theater in college when she landed her first major role as Kim Kelly on the coming-of-age hit Freaks and Geeks. While she found success early on at the age of 19, her career hasn't been without setbacks, rejection, and grit. "I never have really fit into a lot of people's molds," she tells Hillary Kerr on episode 35 of Second Life. But Philipps persevered in a male-dominated industry fraught with unrealistic expectations to come out the other side more sure of herself than ever. Interior designer Amber Lewis, the force behind Amber Interiors, is proof that you don't necessarily need a college degree or a straightforward career path to find success. With just a few semesters in an interior design program at UCLA, Lewis found work as an assistant at an interior design firm, and eventually branched out on her own. At the same time, the creative was getting married to a musician, having her first child, and taking every opportunity that came her way. "I was a perfect storm of...luck, talent, and timing," she tells Hillary Kerr on episode 34 of Second Life. Amanda Hesser is responsible for the chic e-commerce and community site Food52, which she launched with co-founder Merrill Stubbs in 2009. Before she struck out on her own, the foodie had a thriving career as an editor for The New York Times and as a cookbook author, both unexpected paths seeing as the entrepreneur studied economics and finance in college. "I had no idea really what I wanted to do, but I knew the sort of lifestyle I wanted," she tells Hillary Kerr on episode 33 of Second Life. Here's how she made the leap from cooking to writing to running her own company. If you've given or received a gift in the last six years, you've probably heard of Sugarfina, the luxury candy brand made for grown-ups. The champagne gummy bears and other adult-friendly candies wouldn't exist had it not been for Rosie O'Niell and a particularly good date she went on to see Willy Wonka and the Chocolate Factory with her now business partner and fiancé, Josh Resnick. Prior to starting her own whimsical venture, O'Niell was working in brand management at Mattel for Barbie. "When I did eventually step away and start Sugarfina, it's like I knew how to do it and I didn't even realize I knew how to do it," she tells Hillary Kerr on episode 30 of Second Life. Emma Grede is the CEO and co-founder of Good American, the hugely successful, size-inclusive fashion brand that she started with none other than Khloé Kardashian. But starting this business wasn't the first time Grede struck out on her own. She'd long been making a name for herself in the fashion and entertainment industries on the business side of things and had already checked starting a company off her list. "I am a person who can sell anything, and I think I just had that naturally," she tells Hillary Kerr on episode 29 of Second Life. Kelly Sawyer Patricof and Norah Weinstein, co-presidents of the nonprofit Baby2Baby, met on a blind date. Well, a double blind date with their husbands, orchestrated by Patricof's father-in-law. Since then, Patricof and Weinstein married their passion for helping others with their unique backgrounds in fashion and law to head up operations at Baby2Baby—an organization that started with just three women collecting donations for local families in need that has since blossomed into a wildly successful nonprofit backed by some of the coolest moms in Hollywood. If anyone has mastered the art of the hustle, it's Ellen Bennett. The entrepreneurial powerhouse behind Hedley & Bennett, a Los Angeles–based chef wear and handcrafted apron company, started her own business at age 24 while working as a line cook at not one but two prestigious restaurants in L.A. "I was permanently running on adrenaline, and I loved it," she tells Hillary Kerr on episode 29 of Second Life. Now, she's outfitting top chefs around the world, including the likes of Martha Stewart, Jamie Oliver, Jon Shook, and Vinny Dotolo. Emily Henderson is proof that when you're passionate about something, you can turn it into a thriving career—no matter what you studied in college or where you started out. “I learned on the job and I think it’s a very good way to start and build your career," she tells Hillary Kerr on episode 28 of Second Life. Find out how Henderson went from being a prop stylist to running a design blog and getting her own show on HGTV without any traditional design or business education. When Jaclyn Johnson held the first Create & Cultivate conference in 2011 out of a desire to form a community of like-minded, creative women, she viewed it as a passion project, not a business. In fact, she still had a full-time gig running her own company at the time. "You have to have irons in the fire, and you've got to see what burns," she explains to Hillary Kerr on episode 27 of Second Life. That's how Johnson turned her side hustle into a thriving business that supports more women achieve their goals. Shani Darden is a name that rolls off the tongue of celebrities like Rosie Huntington-Whiteley, Jessica Alba, and Chrissy Teigen when they talk about their skincare. Now an expert esthetician with a client list that reads like a who's who of Hollywood, Darden wasn't always sure of her career path. In fact, she first moved to Los Angeles from her small town with dreams of becoming a model (and she has a Destiny's Child music video credit to prove it). "I just think it was one of those things where it took me so long to realize, like, oh, this is what I'm supposed to do," she tells Hillary Kerr on episode 26 of Second Life. There was a time when Aurora James never thought she'd have a seat at the proverbial table. Now, after dipping her toes in multiple industries, she's at the helm of the sustainable fashion company Brother Vellies and is proof that if you have a goal, you can make it happen, even if that means finding a new way of getting there. "I always knew that I wanted to work in fashion. I just knew that fashion wasn't working for me in a way that I needed it to," she tells Hillary Kerr on episode 25 of Second Life. When Linda Wells landed her first job as an editorial assistant in the beauty department of Vogue, she didn't have so much as a five-year-plan. She admits she could never have planned how her professional life—beauty editor turned editor in chief of a new magazine (a little publication called Allure) turned chief creative officer of Revlon and creator of the cosmetics line Flesh—would have turned out. On episode 24 of Second Life, Wells dishes about how she leaned into challenges and major changes to build the impressive career she has today. Former broadcast journalist Whitney Casey and model-turned-actress Brooklyn Decker know something you don't. You spend years of your life—10 to be exact—picking out clothes to wear and to pack for all of life's many occasions. After identifying a massive white space in clothing and tech space, Casey and Decker figured out a way to give that precious time back to people with a seriously smart app called Finery. On episode 23 of Second Life, the two share how they turned one brilliant idea into a thriving company (without any formal business school or training). People with curly and straight hair alike know the power of a good blowout. It was this simple idea that catapulted Alli Webb from former hairstylist and stay-at-home mom to the haircare maven behind Drybar, the blow-dry bar that specializes in blowouts. Before discovering this untapped market in L.A., Webb honed her craft at beauty school on the East Coast, pivoted to a career in PR, and eventually found her way back to hair, where it all began. 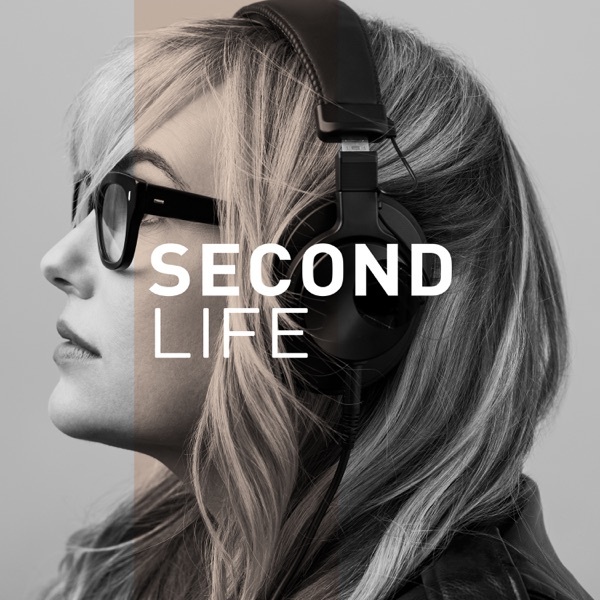 "It was just a whim and a hunch," Webb tells Hillary Kerr on episode 22 of Second Life. Andrea Lieberman knew that she was meant to work in fashion ever since she moved to Manhattan at age 13. "I realized at a very early age that I just found what I was meant to do," she tells Hillary Kerr in episode 21 of Second Life. Lieberman parlayed her passion for the fashion industry, an education from Parson's School of Design, and over 10 years experience as a celebrity stylist to eventually launch her own line A.L.C. Not everyone is lucky enough to stumble upon a career they're passionate about early in life. For April Gargiulo, the founder of skincare company Vinter's Daughter, it took three college degrees, stints in the design world, and time spent working for the family wine business for her to truly find her calling, and she's just getting started. Despite her untraditional path, she tells Hillary Kerr on episode 20 of Second Life, "There's nothing I would have done differently." When you grow up in Ohio with dreams of moving to Los Angeles, becoming a TV host, and owning a Range Rover, people don't always take you seriously, according to Marianna Hewitt. However, with a bit of luck, perseverance, and the skills to turn her dreams into reality, Hewitt moved to L.A. and not only became a TV host but parlayed her experience into a career as a YouTube star, blogger, influencer, and now skincare brand co-founder. "My mentality is someone out there is doing the thing you want to do. Why can't it be you?" she tells Hillary Kerr on episode 18 of Second Life. If you asked Jen Gotch in her 20s what her career might be like today, she'd have had absolutely no idea. "I'm a late bloomer," she tells Hillary Kerr on episode 17 of Second Life. The businesswoman and founder of the stylish gifts and accessories brand Ban.do spent college studying literature and philosophy with the goal of becoming a lawyer, only to realize that wasn't the path for her. Little did she know it would be a career in food styling that would ignite her creativity and lead to the beginning of her own brand then, later, a podcast about mental health. From an early age, Cassandra Grey understood that you have to work for the things you need in life. It's part of what motivated her to not only work at a children's store in high school but eventually go on to manage said store and become a buyer. It's also part of what drove her to create her own, nontraditional PR business in both San Francisco and New York City and what, ultimately, led her to draft the business plan for what's now a multiplatform beauty empire by the name of Violet Grey. "I'm still on the day-to-day hustle," Grey tells Hillary Kerr in Episode 16 of Second Life, where she explains how her entrepreneurial spirit and passion for people guided her through multiple career paths. The fast-paced world of advertising couldn't seem more opposite to vintage furniture shopping. However, after pressing pause on a career in marketing to raise her quickly growing family, Anna Brockway found herself using her advertising know-how to start her own website for selling vintage furniture. Brockway explains how she turned a little website called Chairish into the curated online marketplace for vintage home goods that it is today on episode 15 of Second Life. There are two ways to tell Mandy Moore’s career story. While we’re familiar with the highlight reel—Moore was a breakout singer at just 15 and is a Golden Globe nominee—the real story is far more complex. In episode 14 of Second Life, Moore opens up about self-doubt and setbacks and how they helped shape the woman and actor she is today. Sophia Rossi's résumé is filled with accomplishments, but there's one achievement you won't find on there: graduate. The fiercely successful CEO of women's lifestyle website HelloGiggles skipped college to dive straight into full-time work after high school. In episode 13 of Second Life, Rossi talks about working as a producer on The Hills, learning from startup mistakes, and what it takes to be a great manager. Tracy Sun may be at the helm of the impressive fashion-tech startup Poshmark, but she doesn't consider herself a "fashion person." She studied biology and psychology in college with the intention of pursuing a career in neuroscience. Little did she know that she would trade medical school for business school and leave behind New York City for the tech mecca that is Silicon Valley. Sun explains how she made the transition from science to startup in episode 12 of Second Life. Having a successful career might seem like the goal for many actors, but for Jessica Alba, it was a foundation to try something entirely new: building a business. The founder of The Honest Company shares the most powerful lessons she’s learned along the way, including letting go of ego, recruiting the right people, and the most important quality you can possess. Few people would consider dropping out of college at age 19 to be a pivotal first step toward an impressive career, but that's exactly what Raina Penchansky did. Now co-founder and CEO of digital talent management company Digital Brand Architects (BDA), Penchansky left college during her sophomore year and began building a wildly impressive career in public relations. She explains how her natural instincts for hustling and winging it catapulted her PR career and gave her the courage to launch her own startup in episode 10 of Second Life. Making the decision to change careers isn't always clear-cut, but holistic nutritionist Kelly LeVeque can pinpoint the moment she realized she was on the wrong path. In episode nine, LeVeque talks about her leap from pharmaceutical sales to nutrition as well as the advice to heed if you’re thinking of starting a business. Architecture and ice cream may sound like an unlikely combination, but bringing these two concepts together created a recipe for success for Natasha Case, co-founder of the original hipster ice cream truck, Coolhaus. After landing what many would consider a dream job as a Disney Imagineer straight out of graduate school, Case couldn’t shake the idea that she could use architecture for something bigger. For her, that meant blending her love for architecture with food, she explains in episode eight of Second Life. Emily Current and Meritt Elliot have achieved something that most friends only ever dream about. What started as a college friendship blossomed into a wildly successful business partnership built on mutual respect and admiration. After going their separate ways following graduation, Emily and Meritt took a leap of faith, parting from their lives as freelance stylists and writers to join forces and create what would become multiple successful fashion brands together. From an outsider's point of view, Mandana Dayani was on a clear path to success: After graduating from USC Gould School of Law, she had an offer lined up at a top firm. But something wasn't right. In episode six of Second Life, the chief brand officer of Everything But the House and former vice president of Rachel Zoe Inc. explains why changing careers was the best decision she ever made. It's hard to sum up Kelly Oxford's career without resorting to a list. She's a New York Times best-selling author, screenwriter, sexual assault activist, social media sensation, and mom of three. Oxford wasn't always career-focused, though. In episode five of our podcast, Second Life, she explains what it was like to go from stay-at-home mom to social media star and breadwinner in a matter of tweets. In the publishing industry, few challenges are as daunting as reinventing a beloved classic, but that's exactly what Allure Editor in Chief Michelle Lee was asked to do. In episode four of Second Life, Lee explains how she rose to the challenge and chose to rethink the traditional standards of beauty and publishing. Few people can be credited with starting a national food craze like Candace Nelson did. The pastry chef and entrepreneur sparked America's cupcake obsession when she opened Sprinkles Cupcakes in 2005, the first of its kind in the world. In the third episode of our podcast, Second Life, Nelson explains why she pivoted from a banker to baker and how she harnessed the power of saying “no." Jenna Bans's résumé is scarily similar to the list of TV shows we love to binge. As a producer and writer on Grey's Anatomy, co–executive producer on Scandal, and creator of NBC's new crime drama, Good Girls, she's the creative force behind some of the most popular shows of this generation. In episode two of Second Life, Bans opens up about ditching law school to pursue screenwriting, working with Shonda Rhimes, and learning to lead fearlessly. Jen Atkin: "The World's Most Influential Hair Stylist"
In our very first episode, host Hillary Kerr sits down with the one and only Jen Atkin, celebrity stylist and founder of cult haircare line Ouai. Dubbed the "most influential hairstylist in the world" by The New York Times, Atkin counts Bella Hadid, Chrissy Teigen, and Kendall Jenner as clients. Here, she gets candid about the power of social media, reflects on her journey from salon apprentice to CEO of a thriving business, and explains why mental toughness is the most underrated quality.